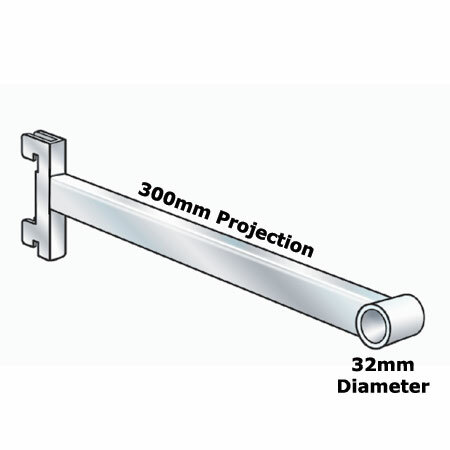 Chrome plated 300mm projection arm with a collar for 32mm diameter round tube. 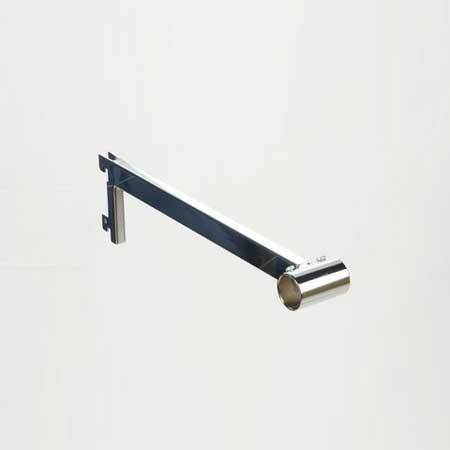 Quality bright chrome support arm to support 32mm diam tube. Fits Twinslot Uprights with 32mm pitch and has 300mm projection. Ideal to create a heavy duty rail for garment display.